Marley Church was built in 1873. 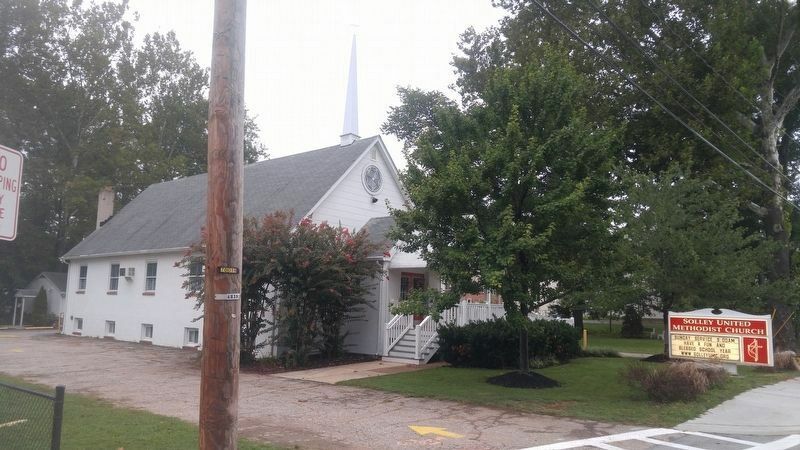 Relocated in 1945 as the Solley Methodist Church. Location. 39° 10.476′ N, 76° 34.17′ W. Marker is in Glen Burnie, Maryland, in Anne Arundel County. Marker is on Marley Neck Boulevard 0.1 miles north of Oak Creek Drive, on the right when traveling south. Touch for map. Marker is in this post office area: Glen Burnie MD 21060, United States of America. Touch for directions. Other nearby markers. At least 8 other markers are within 3 miles of this marker, measured as the crow flies. Marley Neck School (approx. 0.9 miles away); Marley Chapel (approx. 2.1 miles away); Curtis Creek Furnace (approx. 2.4 miles away); In Memoriam (approx. 2.7 miles away); Freetown (approx. 2.9 miles away); Harundale Mall (approx. 2.9 miles away); Sgt. Ronald M. Randazzo (approx. 3 miles away); To All Who Served (approx. 3 miles away). Touch for a list and map of all markers in Glen Burnie. 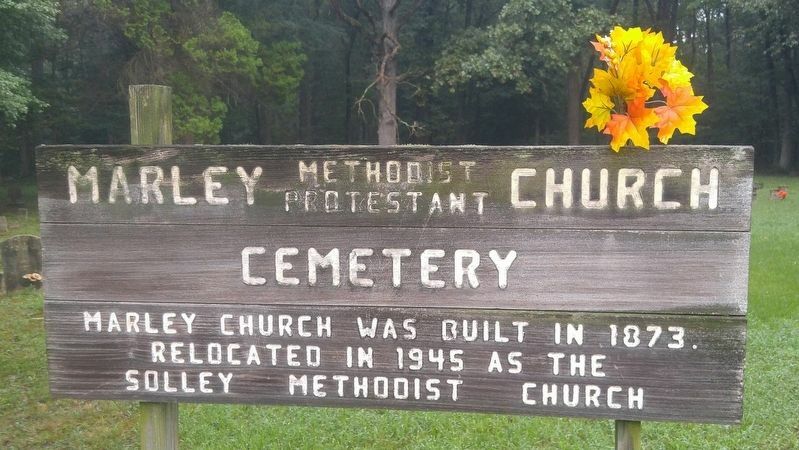 The church referenced on the marker is now located on Solley Road, about a 1.5 mile drive from from the cemetery, next to Solley Elementary School. More. 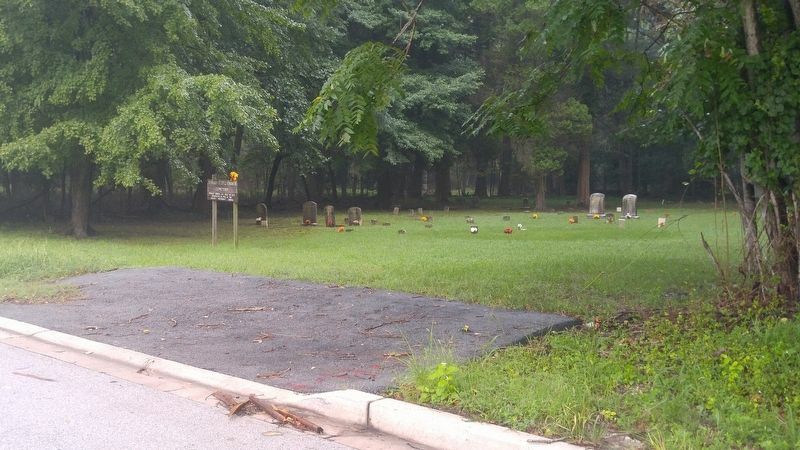 Search the internet for Marley Church Cemetery. Credits. This page was last revised on April 7, 2019. This page originally submitted on April 7, 2019, by F. Robby of Baltimore, Maryland. This page has been viewed 31 times since then. Photos: 1, 2, 3. submitted on April 7, 2019, by F. Robby of Baltimore, Maryland.